MOVIE TRAILER: "Saw 3D" - In Theaters This October! MOVIE TRAILER: “Saw 3D” – In Theaters This October! The trailer for the final film in the “Saw” franchise, “Saw 3D,” was recently released. The seventh film will hit theaters October 29th, one week after the sequel for Paranormal Activity, and will feature more traps than ever. 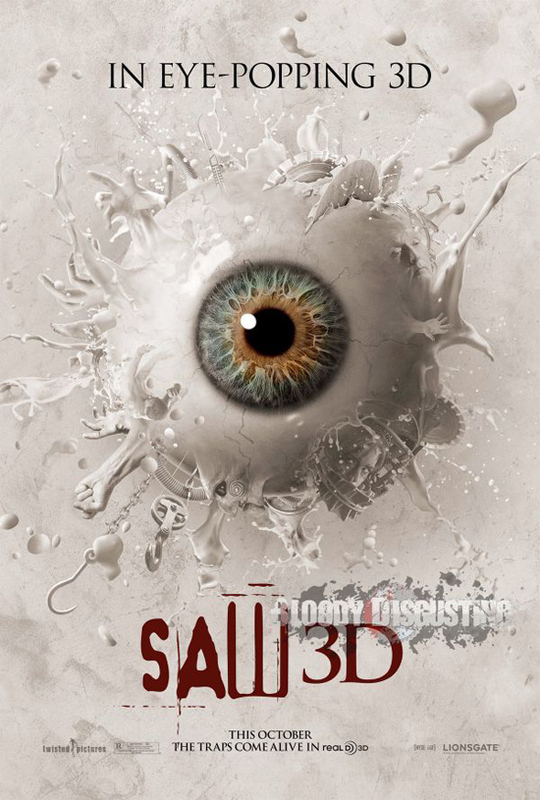 Saw 3D was shot in 3D, unlike most films that are just converted in post production, and will feature bloody traps; it is already being helmed as the most violent of the series. The film had to be re-edited six times before it gained an R rating instead of an NC-17 rating.